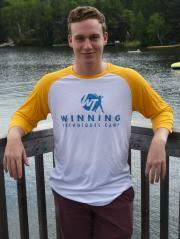 Adam Grin is the founder, owner and director of the Winning Techniques Camp. He is also the head On Ice Dance Instructor and Intense Water Sports Instructor. He enjoys sailing, motorcylce racing, sky diving and helping kids to become the best they can be! But that’s not all – When he isn’t on the water, Carl is the one you can find flipping and twisting on the trampolines by the beach, and as a certified Trampoline instructor he is always willing to help campers improve and work towards new skills. Carl is currently pursuing a Bachelor’s degree in International Business at University of Ottawa’s Telfer School of Managment. Outside of camp Carl enjoys snowboarding, downhill skiing, cross country ski racing, surfing, kite surfing, and scuba diving. Some hockey players are known for their blistering slap shots while others are famous for flying down the ice at warp speed. NHL legend Dennis Maruk played in the National Hockey League for 14 years; his strength was in his ability to stick handle like a magician and put the puck in the net. In the 1981-82 season Dennis joined NHL’s 60 goal club, scoring 60 goals. This is a feat that only 19 people have accomplished thus far. 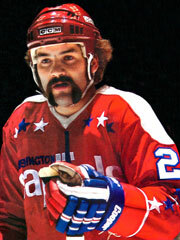 He is a two-time NHL all-star, with a career total of 356 goals and 878 points in 888 games. Lene Massey is the owner/operator of High Hurdles, with extensive experience with horses, starting at an early childhood. As a teenager, Lene worked for the Rockwells, spending many summers working on a large Welsh Pony farm in Ontario and being involved with Pony Club. Lene worked for Frank Stronach galloping Thoroughbreds and worked as a stable hand in Aurora. She also travelled the U.S. working as an event groom. Both of these jobs were a great way to obtain experience and gain knowledge in the horse industry. Lene has showed at the CNE and the Royal Winter Fair. 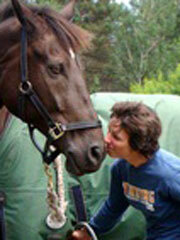 She attended Kemptville College and achieved certification for the Equestrian Coaching Program. “Miss Sue” obtained her Bachelor of Arts degree from McMaster University in Hamilton, Ontario, while balancing a successful career as a professional dancer and choreographer in Film, Television and Live Theatre. She is the current Owner and Artistic Director of the Muskoka Dance Academy where she has been training dancers professionally and recreationally for the past 28 years. 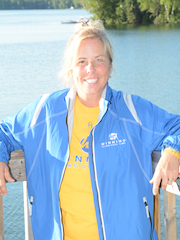 Karen Craig brings her 20+ years of experience and returns once again to Winning Techniques Camp, as our Waterfront Training Director. 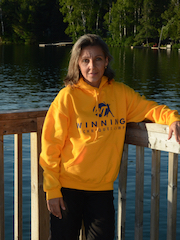 As our camp’s Lifesaving Society Instructor-Examiner, Coach, and Instructor-Trainer, Karen trains up our Leadership candidates in the various Waterfront Aquatic programs. Karen also holds the Lifesaving Society SEE Auditor designation which helps ensure that effective lifeguarding and supervision of the Winning Techniques Camp Beach and Waterfront meets and/or excess provincial legislated requirements during the camp season. 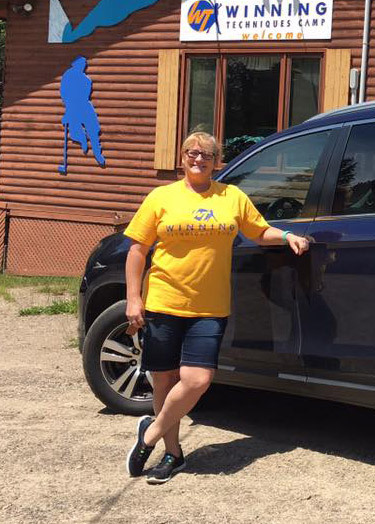 When not at camp, Karen operates Rescue Training Camps of Canada – assisting companies & municipalities in the GTA with their Advanced Aquatics, Lifeguarding, Lifesaving Sport programming, First Aid, CPR & AED training requirements. Liz is our lady of all trades – From helping with transportation to water testing, Liz does it all! Being a trained Water Technician, Archery Coach and Photographer there isn’t much she can’t do. Additionally, she is always willing to lend a hand with building, cleaning, gardening, cooking and overall maintance. Her relationship with Winning Techniques Summer Camp started as a camper’s mom back in 2007, and we have seen her every summer since! From a young age Patrick has invested all of his energy into the sport he loves – hockey! With countless years of experience and many distinctions under his belt Patrick makes a great addition to our Hockey Program. As a highschool student Patrick moved from Spain to Aurora, Ontario to pursue hockey at St. Andrews College, a school known for their amazing athletics department. Here Patrick played on their Hockey team for 2 years, and found a love for Canada that brings him back each year! Currently, Patrick plays centre for CHH Txuri Urdin, winners of the Spanish League Championship in the 2016/17 season. Additionally, alongside his club play, Patrick is also is the Assistant Captain on the Spanish Men’s National Hockey Team, and a former member of their junior teams. Together Patrick and Dennis Maruk make a highly experienced team to provide the best program to develop the skills of all of our hockey campers – whether they are beginners or high-level athletes! We are so happy to welcome Patrick back to Winning Techniques Camp where he gets to enjoy the ice at the rink, and our beautiful beach on Clear Lake everyday! Idoia first joined the Winning Techniques family at 11 years old when she flew across the Atlantic Ocean from Spain to Canada for her first summer as a skating camper! 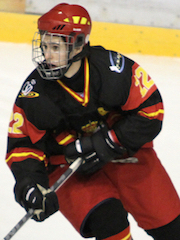 Since then, Idoia persued competitive skating and even spent some time on the Spanish Youth Olympic Team. Although skating is one passion of Idoia’s, which she gets to share as she leads the higher athletes on the ice, she also just loves the atmosphere and community that exists here at Winning Techniques. Mackenzie can’t seem to remember his first year at camp, it was too long ago. However, Kim and Adam can remember him running around camp as a young boy excited to try everything, and now at 21 years old Mackenzie is always ready to take on any job at camp! 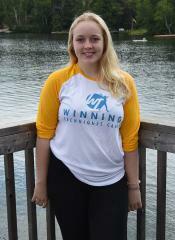 After many years as a camper, and then a counselor, Mackenzie persued a certification to drive for watersports. Now you can find him on the lake all day with our Watersports Program coaching, playing tunes and creating a fun environment. 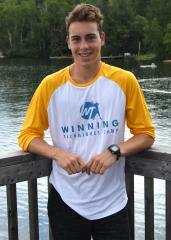 Additionally, Mackenzie has just graduated with a Bachelor of Arts degree in Economics from Laurentian University, but he will never forget the experience he has gained as a memeber of the Winning Techniques team when he puts his degree into action next year. Sydney started her journey with Winning Techniques Camp as a young girl learning to skate from Kim and Adam. 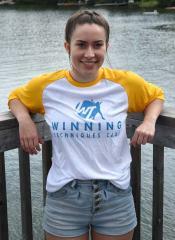 After a long time as a Skating camper Sydney joined our staff team as a Skating counsellor, and has now pursued certifications to teach for our Leadership program. Sydney loves to share her passion for music, singing and dancing with all of the campers at Winning Techniques Camp – she is always the one to jump up and lead the dances for our weekly theme nights! This year, Sydney is heading to McMaster University for her first year of Anthropology and Social Sciences. Here at camp, Sydney loves that she does not have to worry about her severe peanut allergy as we are a nut-free facility! 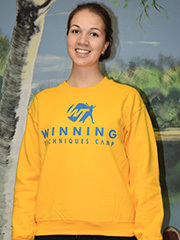 Emily loves camp so much she can never seem to leave… Although she is persuing a degree in English Language and Literature at Carleton University in Ottawa, she is back each summer to run around, swim and have fun with the day campers. Emily has hopes of a career in publishing and writing stories one day, but her favourite ones to tell are those from her many years at camp. 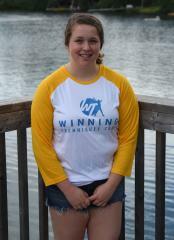 Tallying in at 10 years at Winning Techniques, Emily started off as a camper in the Hockey and Intense Watersports programs, progressed into the Leadership program and is now starting her fifth summer working with us – now as the Assistant Director of Day Camp. Outside of camp you can find her reading, writing, or practicing with her competitive cheerleading team! Moritz is our resident fish here at camp – if you can’t find him at the beach lifeguarding, then he is probably on an accompanied swim around the lake! During his leadership and Bronze Cross training Moritz excelled in the water, and knew that his best fit at camp would be at the waterfront. He then went on to recieve his National Lifeguard certification from the Lifesaving Society, and proved himself a great leader for our waterfront staff in keeping the beach safe! 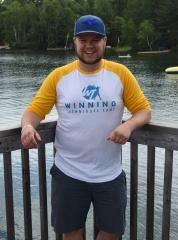 Moritz’s favourite part about camp is getting to be outdoors, or by the lake, and as our Head Lifeguard he gets to enjoy our Northern Ontario landscape all day. Aside from the beach, Moritz loves the camp community and familial atmosphere at Winning Techniques where everyone helps each other out and has a great time together. 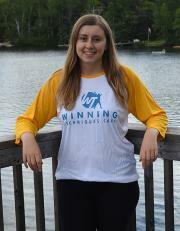 Meaghan has been a camper at Winning Techniques for 5 years and is so excited to join our team as a Figure Skating camp counsellor! Meaghan has a background in synchro, as well as individual skating, as a member of Meraki Synchro’s Intermediate team. This past year her team even qualified for Nationals in Calgary! Meaghan loves camp because everyone here feels like family. 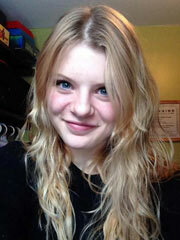 Her favourite activities are the weekly Thursday night dances where everyone gets to hang-out, jam-out, and have fun! 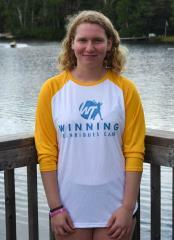 Like many of our staff at Winning Techniques, Lauren is a long-time camper and member of our family. She first joined us 8 years ago as a skating camper, and now joins us as a skating counsellor! Meaghan loves camp because everyone here feels like family. 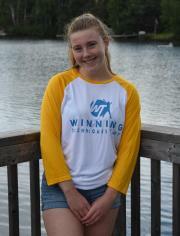 Her favourite activities are the weekly Thursday night dances where everyone gets to hang-out, jam-out, and have fun!Lauren’s favourite part about camp is getting to try so many fun activities like watersports, trampoline, and archery alongside your specialized sport. She equally enjoys the vast diversity of people that come to camp – it is so much fun to work with people from all around the world! Outside of camp, Lauren skates with Meraki Synchro’s Intermediate team, and had the chance to go to nationals last year! Julia has been coming to camp since 2010 – She has been a part of our figure skating for 6 years as a camper, and this year she is joining our team as a skating camp counselor! Julia is an accomplished skater with her gold level skills and dances under her belt, and is working on her coaching credentials. Julia’s favourite part about camp is all the friendships you create with everyone you meet. 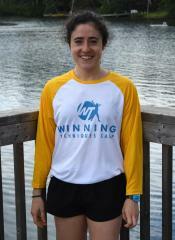 She thinks Winning Techniques is awesome because you are able to participate in so many fun activities while learning new things about yourself and your sport. Emily first came to camp as a skating camper! She now joins us as a counsellor. 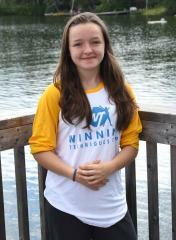 Outside of camp she is pursuing an undergraduate degree from McMaster University! 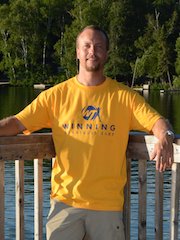 You can find Max on the ice, or the lake as both a Hockey counsellor and Intense Watersports counsellor! 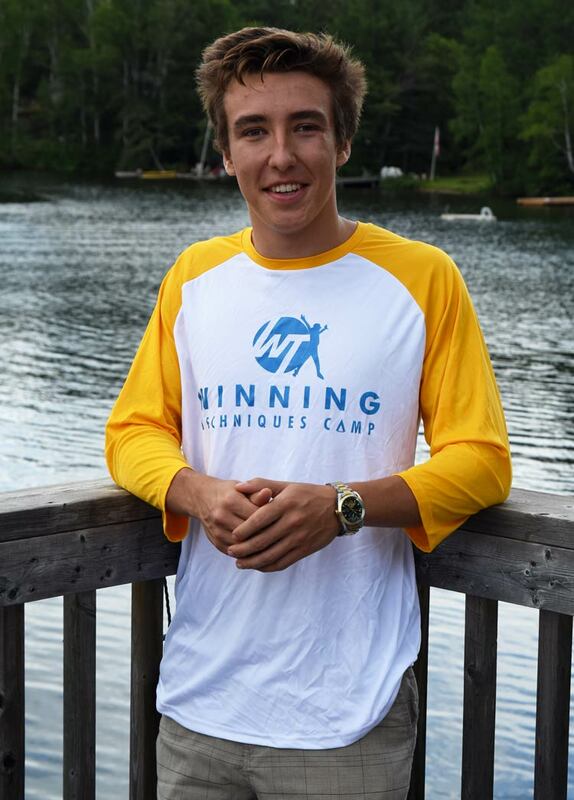 Hailing from Boston, Max first came to camp three years ago and quickly realized that Canada is the best place to spend the summer – especially in Muskoka. Since then Max has returned every year – and now helps out with our Hockey and Intense Watersports programs. Max comes from a long lineage of hockey players, and plays defense for Dover-Sherborn Highschool’s Varsity team. His favourite part of Winning Techniques is being able to help younger players and athletes reach their goals, and enjoying the summer sun at the beach! There isn’t a station at camp that Luke isn’t excited to take his Traditional campers to – although he wishes they could spend all day either at the trampoline, or playing football on the soccerfield! Luke’s favourite part about camp is spending time in the boats, and getting to participate in watersports! 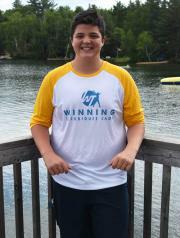 As a camper, Luke loved the opportunity to try waterskiing and wakeboarding, and now enjoys teaching his campers the same! Luke plays highschool football, and is very passionate about photography. Zoe is our creative mind at camp, you can find her leading crafts like painting, bracelet making, and weaving in the craftroom. Zoe first joined our camp family three years ago when she drove all the way to camp from Boston with her brother’s and sisters for seven weeks of camp! Since then Zoe knew she just had to work here, and now she fits right in as an assistant volunteer with our traditional program. Joan may have been apprehensive when he first came to camp from Spain with his sisters Nina and Pati, but he quickly found a second home here at Winning Techniques. Now he returns every summer to volunteer for us! As an experienced slalom skiier and wakeboarder Joan loves to help out the Intense Watersports campers in the boat, and his favourite part of camp is that anyone gets to try out this awesome sport if they choose – no matter what program they are in! Back home in Barcelona, Spain, Joan competes in sailing and loves to be by the beach. Kimmy has been a part of Winning Techniques camp her whole life. 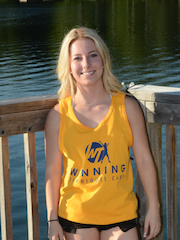 Now she joins us as our Horseback Riding counsellor! She loves to be at the barn teaching kids all about the parts of the horse and riding techniques. Thalia first came to Winning Techniques for skating at age 11, and loved it so much she couldn’t stop coming back! Thalia worked with us as a Figure Skating coach and camp counsellor for 3 years, and is now at McMaster University studying Kinesiology (BSc). Thalia’s favourite part of camp was working at the rink where she loved to run lively workouts, choreograph dances, and prepare skating test days. A close second was spending time on the boats trying out wakeboarding and wakesurfing! She laughs, “I’d been babied my whole life, so I was really nervous when my parents suggested a week at camp in a figure skating program when I was twelve.” She explains, “I was pretty attached to my Mom and at that delicate age of learning to be social and moving toward independence.” She ruefully adds, “I shed more than a few tears when they dropped me off.” When Melanie’s parents returned to pick her up from camp she cried again because she didn’t want to leave. The second year Melanie did a traditional camp program, returning after the first week for two more. She helped out a bit that year with the younger campers but had to wait until she was fifteen to take the four week Leadership Course, which qualifies candidates to be camp counselors. Winning Techniques fast became part of Melanie’s regular summer schedule and something she eagerly anticipated all year long. Alyssa first joined Winning Techniques Camp as a figure skater when she was just 10 years old! 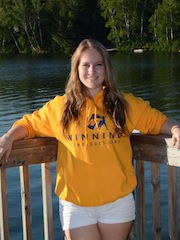 Although we missed her for a few summers while she was training with the Nexxice Synchro team, Alyssa was more than excited to come back to camp and use her skating experience to good use as a skating counsellor. While working here at camp she loved to help on the ice, but loved that there was also the opportunity to participate in all our other camp activities – especially Watersports! As a camper Meaghan got to know almost all of our specialized sports programs; she was a figure skater, a watersports enthusiast and a dancer. 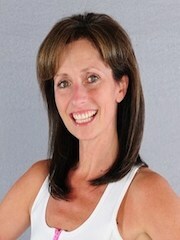 Additionally, as a camp counsellor she was so versatile and fit in as a skating coach, and a Watersports instructor! 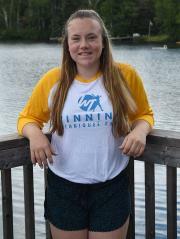 As one of our long-time campers, and then a veteran counsellor and boat driver we were sad to see Meaghan leave Winning Techniques to pursue her post-secondary education. Meaghan is now going into her fourth year at Guelph University where she is studying for a Bachelor of Science, Honours Human Kinetics with a minor in Psychology: Brain and Cognition. Even though she no longer spends all 8 weeks of summer here on the lake, Meaghan still likes to pop in to see her mother Liz, who is now our trained Water Technician. Maybe you will still see Meaghan around!